The Glan Yr Afon/Riverside is a family run country pub; we very much lean towards being a restaurant. Glyn and I (Corina) bought the freehold in May 2010, are pleased to have been trading successfully for the last three years and long may this continue. We work together with our 9 year-old son Dylan, and our new additional to the family 6 month old daughter Mari. We are very grateful for a great team of staff. 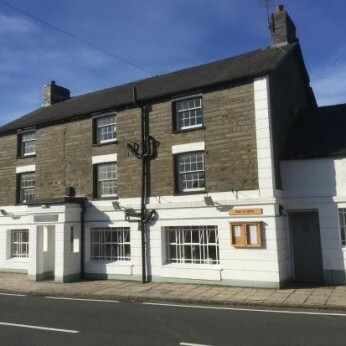 We want the Glan Yr Afon/ Riverside to be a place where everybody is made to feel welcome whether it be for a quick pint or meeting with friends and family for lunch or dinner in the bar or restaurant. In January 2011 we completed the refurbishment of the down stairs, restaurant, lounge, bar & cwtch, we've transformed the bar and cwtch (welsh for snug). Giving more comfortable seating for dining or just relaxing with the family, complete with a double fronted log burner offering the warmth and magic of watching a fire no matter where you sit on the colder days in Pennal. Well-behaved dogs are welcome in the bar and cwtch. We serve premium lagers and real ales over our bar – Glyn enjoys changing the selection of real ales on a weekly basis so i'm sure there will always be we have a guest ale in each week ranging from the Purple Moose Brewery – Dark side of the mouse, Glaslyn & Madog beers - Reverend James, Abbots Ale and plenty more. We also pride ourselves on an interesting and value for money wine list. In January 2012 we finished work on the downstairs by transforming the ladies toilets from old to new, it was worth the wait! Also this year brother gardening team from Pennal Aled & Geraint have done wonders transforming the garden. Thank you boys! We have enjoyed transforming the Glan Yr Afon/Riverside since 2010, and hope you enjoy the relaxing environment we have created. We have dressed all of the walls with pieces of Glyn's artwork collected over many years. All the artwork we have chosen for the Glan Yr Afon are a collection of Welsh artists, Mike Jones, Wyn Jenkins, Nick Holly, Kyffin Williams to name a few. We have a la carte menu, which changes seasonally offering only fresh local produce where possible. We serve food in the restaurant and bar lunch times 12noon – 2.30pm and dinner time 6-9.30pm 7 days a week.